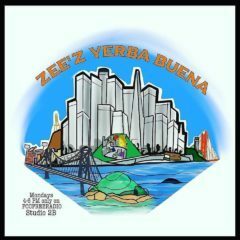 Zee’z Yerba Buena #32 – Radio for the People, by the People. LOL,OMG,WTF,LMAFO and many more!!! Zee here recording live form Studio2B!!! Zee’z Yerba Buena ready to entertain your Monday evening!!! With me in the studio today will be my good friend Becker Von Felsburg of Dollars and Donuts Productions!!! We’ll be talking about chatspeak/netspeak and other social issues and where are we going as a society!!! And what ever else we feel like talking about!! My guest from last week, Peter Feliciano mite pop in for a bit as well!!! It’s gonna be a great show so don’t miss out!!! Check it out live with our new listen live links at FCCFREERADIO.COM!!! Monday June 11th 4-6 pm!!! !